OYO Home 26144 Elegant 2BHK is a lavish property surrounded by greenery and comes with bright and tasteful rooms. 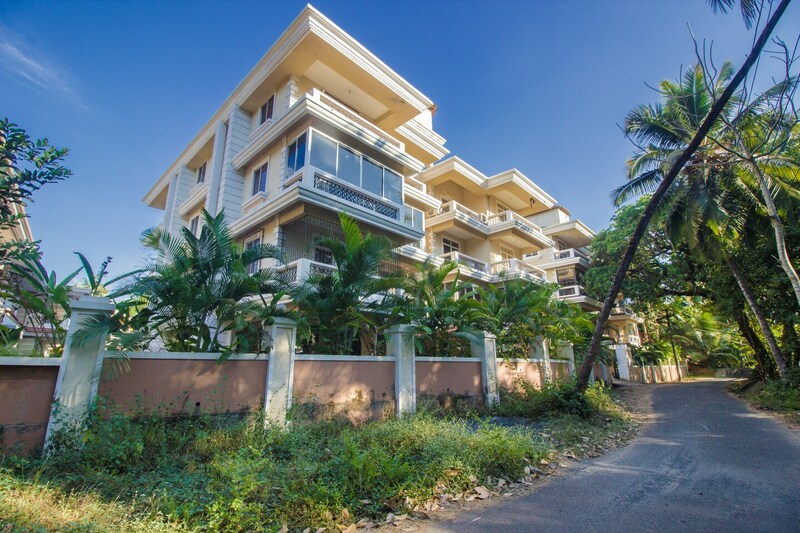 It is located at Asian Exotica in Varca in Goa. The property is near Shree Vitthal Rakhumai Temple and St. Michaels Catholic Church. The property has a well-maintained lawn and a beautiful outdoor pool. It is surrounded by greenery as well. The living area and kitchen are well-lit, aesthetically decorated and feature plush seating. The bedrooms are done up in bright hues, and have sliding glass doors opening up to balconies where guests can relax and admire the nature all around. Each room here comes with a TV, AC, and the neatly tiled bathrooms have geysers. The property offers power backup, parking and CCTV coverage. Some restaurants near the property are Natures Gift, Zumbrai Beach Restaurant, Waterfall Cafe, Feed More, Papa Joe's, The Avenue and Misha's Hut.